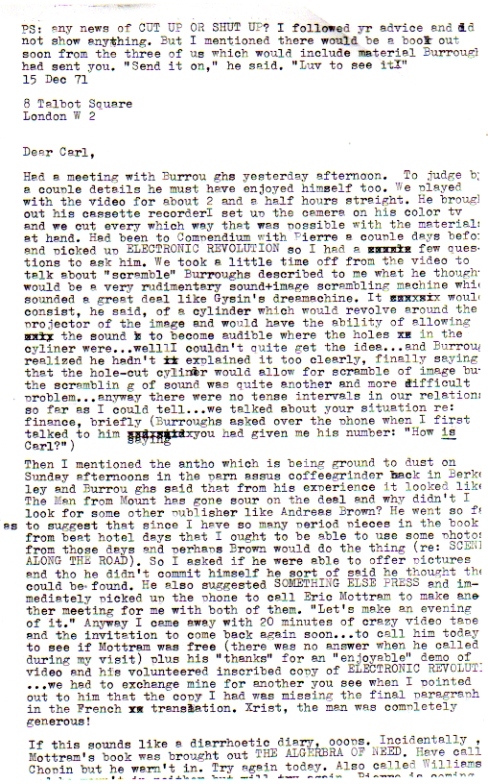 Recognizing the significance of these videos, which are likely the earliest videotape of Burroughs, Herman had been looking for a way to digitize them. 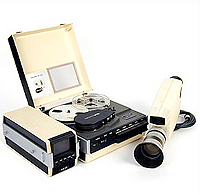 RealityStudio proposed to help, but the nearly obsolete tape format presented difficulties. 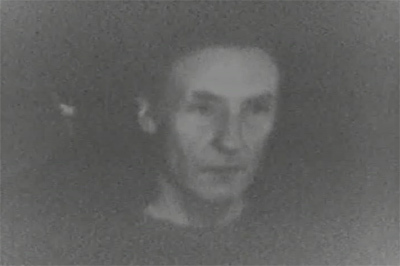 A state-of-the-art production facility managed to recover a segment of the video experiment — miraculously, the part featuring Burroughs — while another segment, which featured Balch, was lost. Aside from the participants, no one has seen this video experiment until now. 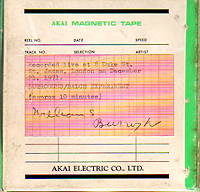 And while technically the video may show some deterioration of the magnetic tape, aesthetically none of the impact is lost. 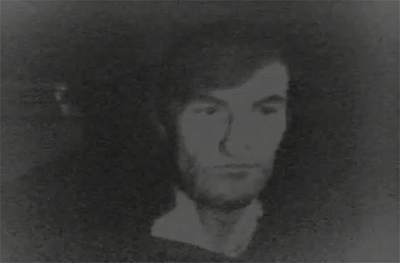 In fact, it is amazing that, some thirty years before “morphing” and digital technology, the experimenters managed to show just how easy it can be to manipulate moving imagery. No doubt the video, now that it is available, will take its place alongside the fold-in texts, cut-up tapes, and other film experiments that expose the techniques of what Burroughs called the Control Society. 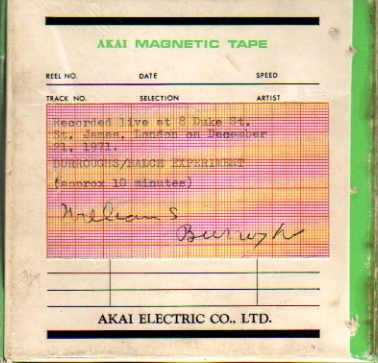 The video was recorded on Dec. 21, 1971, in William S. Burroughs’ London flat at 8 Duke St., where I visited him for several days. Tall and thin (very thin, I thought, but apparently in good health), Bill was reserved, generous and — despite reports I’d heard to the contrary — quite sociable. The filmmaker Antony Balch, who lived downstairs, brought his movie projector up to Bill’s flat, along with the unfinished footage of “Bill & Tony,” a movie he’d been working on. We turned off the lights and Bill sat in front of the movie projector. He looked remarkably like Buster Keaton, his stare so blank and deadpan he could have been a mummy. Although the experiment was precise, it was also rudimentary. 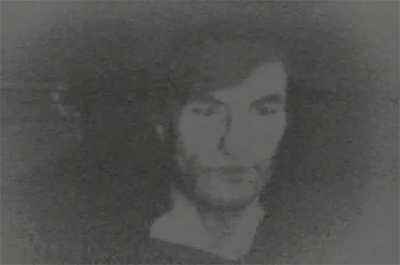 And after 34 years in storage, the videotape has degraded and now looks primitive. Still, it gives the fantastic impression of a ventriloquist dummy coming to life or an ancient Egyptian mummy being revived to cheer the river gods. I think Bill got a kick out of that and the demonstration of how easy it was, even with primitive means, to create a televised witch’s brew of, say, Nixon’s face superimposed on Mao’s, speaking with the voice of Hitler or Stalin, or even FDR. Of course, any combination can be applied. 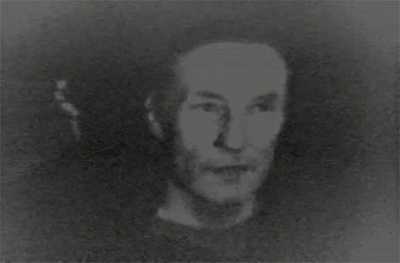 Watch the Burroughs / Balch video experiment by Jan Herman. 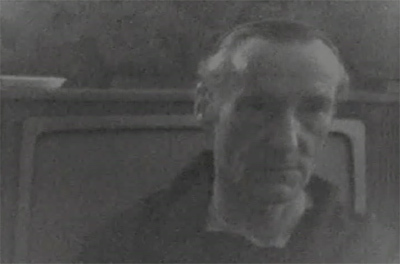 Burroughs / Balch video © 1971, 2006 by Jan Herman. Published by RealityStudio in September 2006, updated in April 2010. Many thanks to Jan Herman. Excellent. Can you get a transfer from tape with better clarity? Higher definition?